UNILAG DIRECT ENTRY 2018/2019 FORM,ELIGIBILITY SCREENING FEE ANNOUNCED. UNILAG Direct Entry form is out. Interested and suitably qualified candidates should follow the steps outlined below to register for the University of Lagos (UNILAG) 2018/2019 Direct Entry Screening Exercise. This is to inform the general public that the University of Lagos (UNILAG) registration for ONLINE DIRECT ENTRY Screening Exercise for admission into ALL COURSES for the 2018/2019 academic year will commence from MONDAY, SEPTEMBER 3 to FRIDAY, SEPTEMBER 21, 2018. 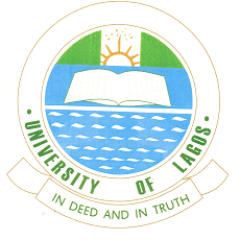 Candidates Eligible for UNILAG Direct Entry Screening. Candidates who chose University of Lagos in JAMB’s 2017/2018 Direct Entry (DE) application are eligible. In addition, candidates must possess five (5) credit passes at one sitting in relevant O/level subjects including English Language and Mathematics. Candidates must also fulfill all O/level and DE requirements for the course of choice as advertised by JAMB. How to Apply for UNILAG Direct Entry Screening. Further clarification may be obtained via email: admissions@unilag.edu.ng and the following phone numbers: 08182716045, 07043359831, 07026079596 and 09058702877. Candidates are advised to adhere strictly to the guidelines and obtain necessary clarifications. The University shall withdraw the admission of newly admitted students that test positive for drug use whenever the University conducts the test, either before or after registration. NECO GCE 2018/2019 OCT/NOV REGISTRATION FORM,CLOSING DATE, PRICE ETC. Fed Polytechnic Nekede HND Admission List 2018/2019 Released. Fed Poly Nekede ND Admission 2018/2019( Morning, Evening & Weekend Programmes)Released.